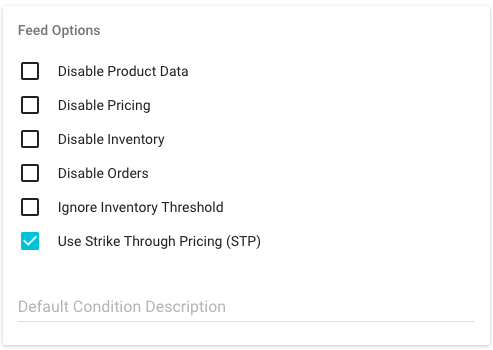 How to enable strikethrough pricing on eBay to display discounts or savings on your eBay listings. 1. Add MSRP for all of the SKUs you want to have STP. You can add MSRP manually by searching for the SKU on the catalog page => click the "EDIT" button => "PRICE & AVAILABILITY" section. 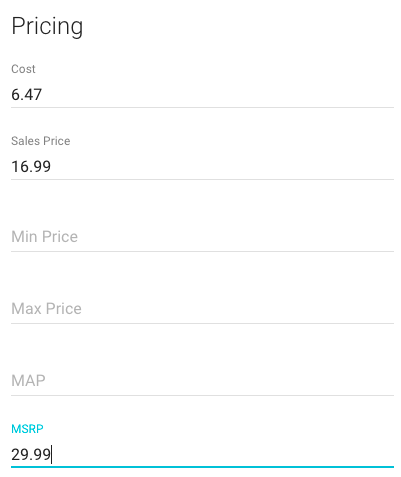 You can also import MSRP for your SKUs in bulk using our import/export feature. 2. 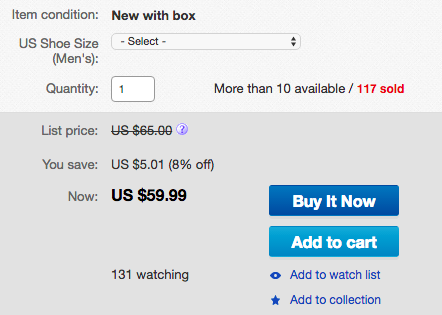 Go to the eBay section of the Integrations page and enable STP by checking the corresponding box. Don't forget to click the SAVE SETTINGS button!